Community? Rooftop? What solar is right for you? OPPD will soon be offering a community solar program to its customers. But what is “community solar,” and how do you decide between rooftop or community solar when it comes to your energy needs? Continue reading here. Save the Date! 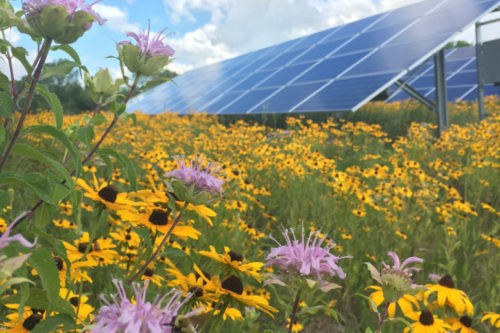 Nebraskans for Solar’s March Event: “OPPD’s Community Solar Program,” March 13, 2019, 7 p.m. at UNO’s Community Engagement Center, Rooms 230/231. Our guest speakers will be Tricia McKnight, OPPD Product Specialist, and Heather Siebken, Director of Product Development & Marketing. They will present an overview of OPPD’s community solar program and how customer-owners will be able to participate. A Q&A will follow their presentation. This entry was posted in Community-Scale Solar, Nebraska / Midwest News and tagged Omaha Public Power District (OPPD), OPPD The Wire, OPPD's Community Solar Program, rooftop solar on January 14, 2019 by Helen Deffenbacher.